The Matthews Opera House opens the dysfunctional world of TV quiz shows, egos, and heaving servings of “red herrings” with the announcement of its Fall Gala Fundraiser “Money Mayhem: You Bet Your Life.” It will take place 5:30 to 9:00 p.m., Saturday, Oct. 17 at the Spearfish Holiday Inn & Convention Center. Tickets are $65 a person, or $60 per person with the purchase of a table of six. Tickets are available online at www.matthewopera.com or at the Matthews’ art gallery during business hours. Monday-Saturday 10 am to 5 pm, or by phone 605-642-7973. We have a cast! Director, Julie Walkins, spent two evenings last week auditioning some very talented folks. 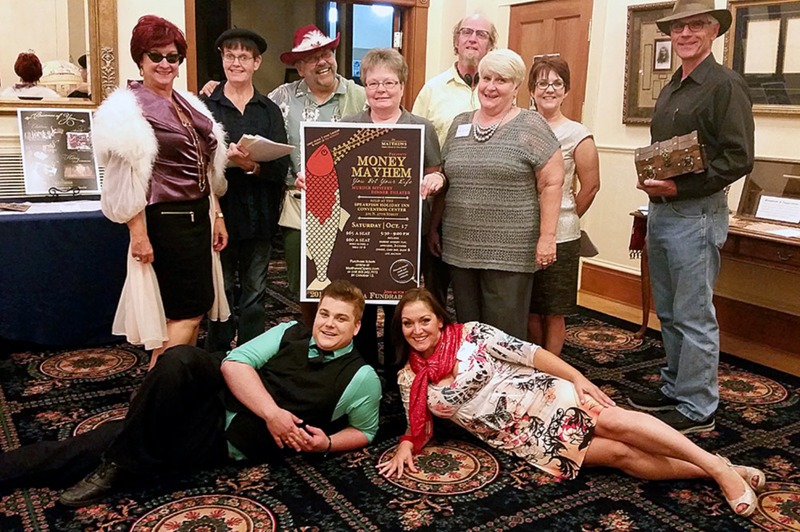 The play, “Money Mayhem: You Bet Your Life,” will be the centerpiece of The Matthews annual Fall Gala fundraiser. 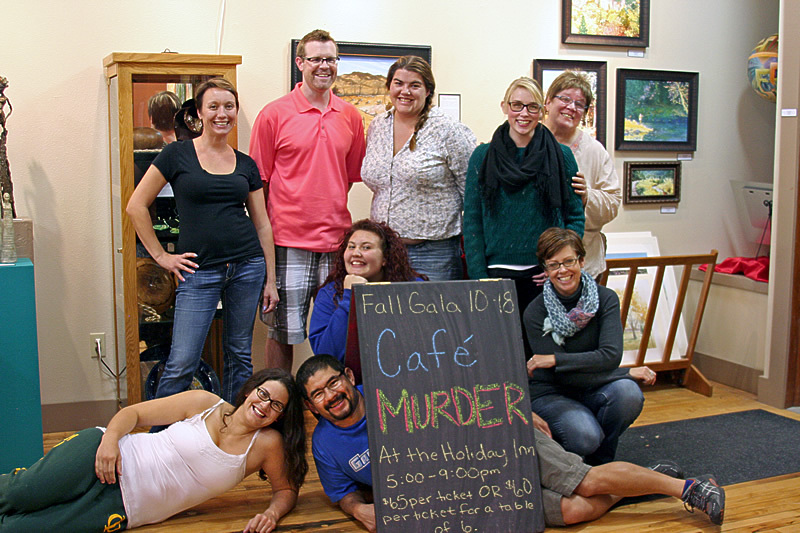 The Gala will take place at 5:30-9:00 p.m., Saturday, Oct. 17 at the Spearfish Holiday Inn Convention Center. It’s Official. The UN-FUNdraiser was a Blast! 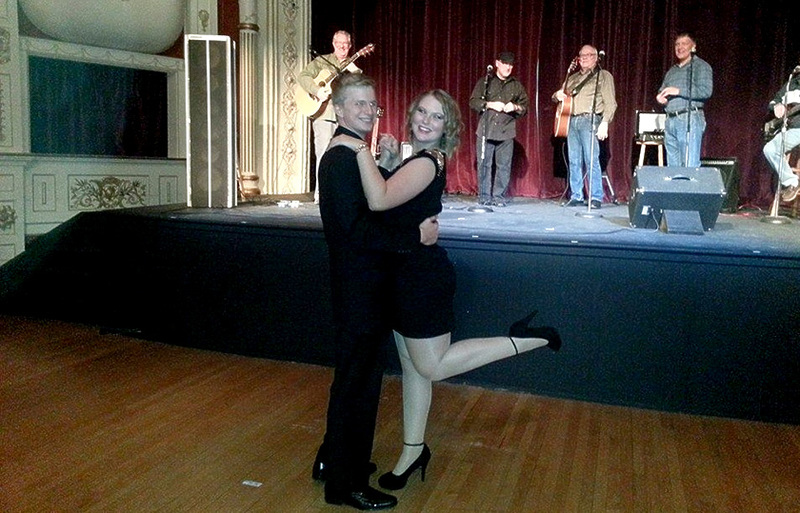 Last Saturday, October 19, The Matthews put on a different kind of Fall fundraiser. It was decided that instead of begging for money, we would instead celebrate our Friends. In September, a new campaign began to promote becoming a Friend of The Matthews…and it started at $50! Every sponsor, advertiser, and person who became our Friend was sent a formal invitation to our UN-FUNdraiser Friends Gala. Once our Friends arrived, they were able to enjoy appetizers, cash bar, music, magic — the Amazing Nosmo, and parlor games. Two of the evening’s most popular guests were Mattie Opera and her boyfriend, Art Gallery. They made sure all of our Friends were made to feel welcome and encouraged them to participate on the dance floor and the games.